With the years I have learned that to be able to stay on top of my game, I need to exercise creating work for myself. Street and documentary photography are the genres that I admire the most and where I draw the most inspiration, I love to find geometry and shapes and wait for my subject to fill my frame. This week I took some time off and headed to city just to walk around and try to remember how to do street photography, it felt so good to wonder without an agenda or a place and time to be somewhere. 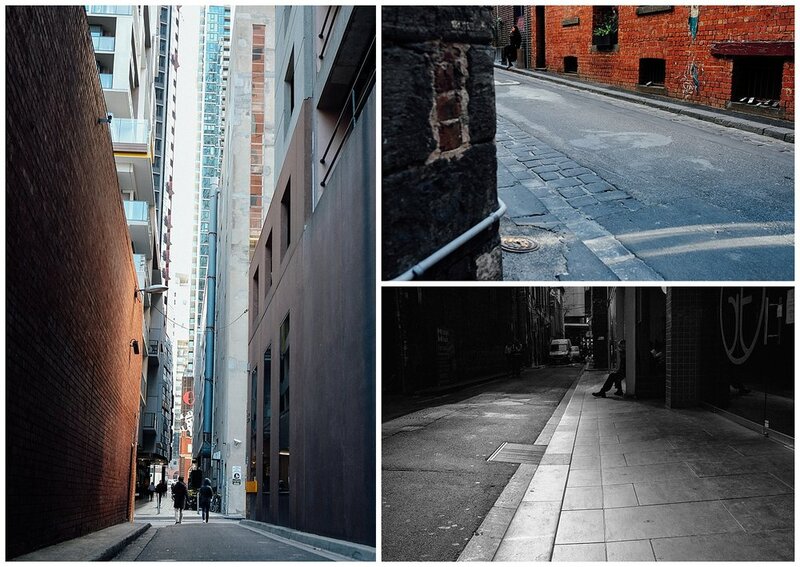 The last time I did some street photography was the day I visited Auckland! Portrait photography available in Sandringham, newborn photography in Camberwell, pregnancy photography in South Melbourne. Other services available: toddler photography and children's natural light photography sessions. One of Melbourne's lifestyle photographer, located in bayside suburbs like: Mornington, Cheltenham, Chelsea, Mordialloc, Parkdale, Beaumaris and others. Street art and Street Photography in Melbourne and inner city.